A parliamentary report of 1777 recorded a parish workhouses in operation at Padstow with accommodation for up to 100 inmates and one at St Columb Major for 60. 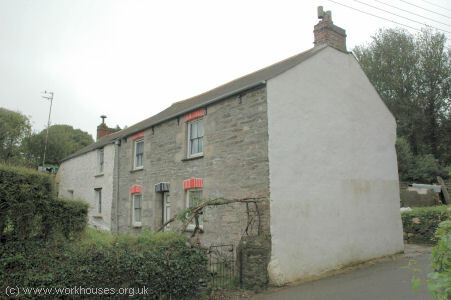 A block of houses near the church in Crantock may have originally been built as a parish poorhouse. 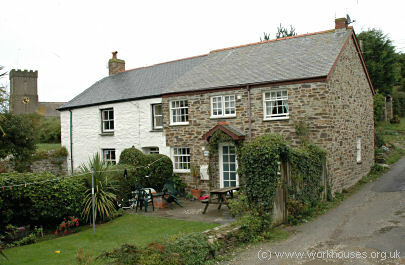 Crantock possible former poorhouse, 2005. Some cottages on the Butts at (Saint) Newlyn East (or East Newlyn) were once the village poorhouse. 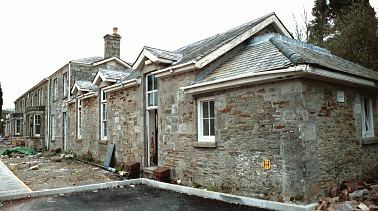 Newlyn East former poorhouse, 2005. Cornwall: Colan, Crantock, Cubert, St Breock (3), St Columb Major (4), St Columb Minor (3), St Enoder (2), St Ervan, St Eval, St Essey (2), Little Petherick, Mawgan (in Pyder) (2), St Merryn (2), Newlyn (2), Padstow (3), St Wenn (2). Later addition: Newquay (from 1894). The population falling within the Union at the 1831 census had been 14,737 — ranging from Little Petherick (population 224) to St Columb Major itself (2,790). The average annual poor-rate expenditure for the period 1834-36 had been £5,718 or 7s.9d. per head of the population. St Columb Major site, 1906. St Columb Major from the south, early 1900s. St Columb Major from the south-west, 2001. St Columb Major followed Scott and Moffatt's typical design. It had a single-storey front block with a central entrance archway. 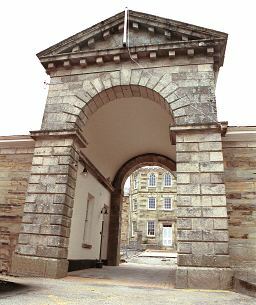 St Columb Major entrance from the west, 2001. To the rear was the main accommodation block..
St Columb Major main block from the south-west, 2001. An infirmary block stood to the rear — this was rebuilt in about 1903. St Columb Major infirmary block from the south-west, 2001. In 1933, the workhouse was turned into a home for "mental defectives" and various alterations were made, with S Pool as architect. Accommodating 111 inmates, it opened in its new role in January 1935 and was known as The Retreat. 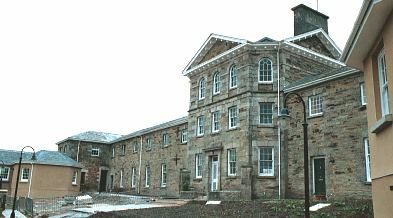 In 2000-1, the former workhouse was converted for use as housing. 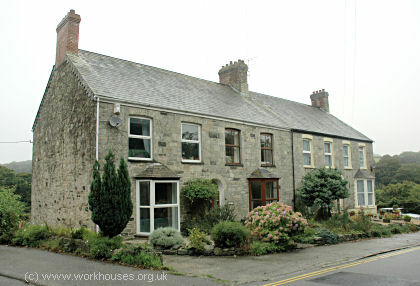 In the early 1900s, St Columb Major also operated a number of scattered homes for pauper children. A home for boys was located on Fore Street, and one for girls on Bank Street. In the 1920s, homes for boys and girls operated in a house on New Road. St Columb Major New Road scattered homes, 2005. Cornwall Record Office, Old County Hall, Truro, Cornwall, TR1 3AY. Holdings include Guardians' minute books (1837-1868, 1871-1930); Deaths (1914-30); Admissions and discharges (1926-33); etc.